I showed this photograph in my Facebook, and intended to use it in one of my food reviews, as it was one of the interesting watches in meal with non-watch collectors. But a few friends who saw the photograph urged me to put this up on the photography blog. Simple photograph, taken with available lighting in an eating house. 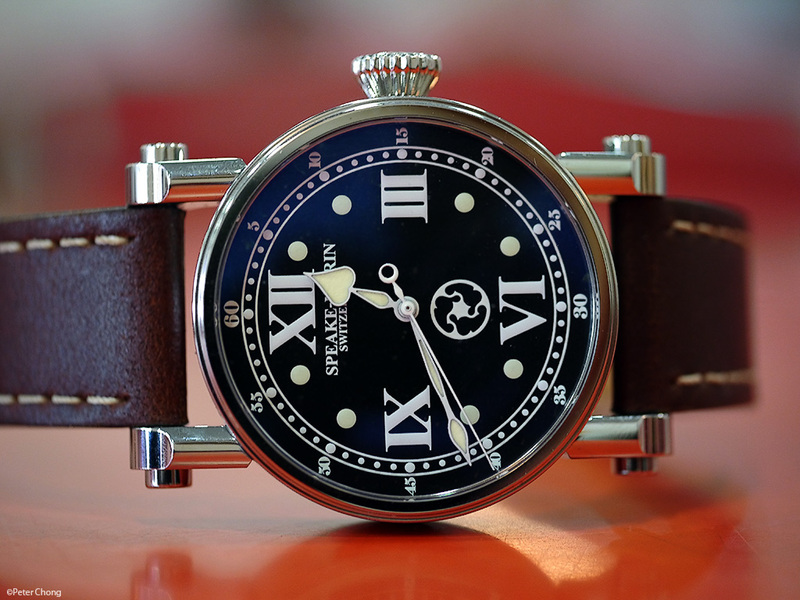 Many non-collectors have remarked to me this was a beautiful watch. Both reacting to the photograph and to the actual watch. The aestetics executed by PSM is beautiful...proportions are well balanced and classical, though the large and exaggarated, somehow seem to be in balance. The movement, which I did not photograph is quite beautiful, showing a magnificently stylised rotor, bearing the PSM signature design. Beautiful watch, overall. Not horologically important in that it does not really push the horological envelope, but aestecially very pleasing.